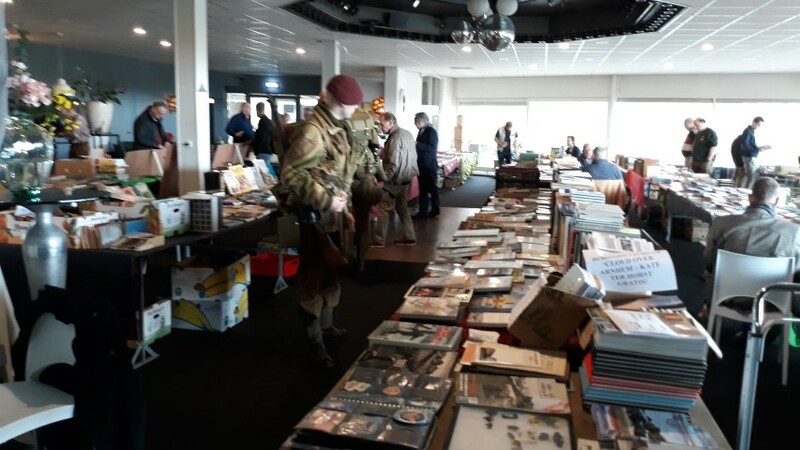 On Saturday morning 13 April 2019 we visited a very special book fair of the Friends of the Airborne Museum Association. 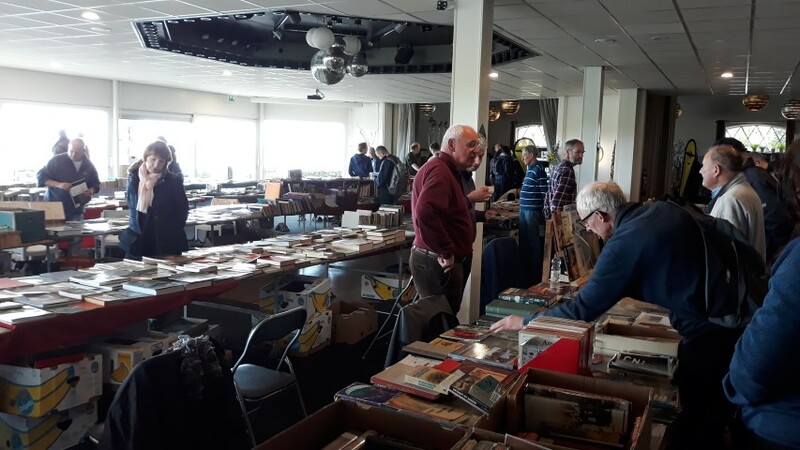 This year not in the concert hall in Oosterbeek, but at the Westerbouwing! Wil Rieken was at the VVAM book table. 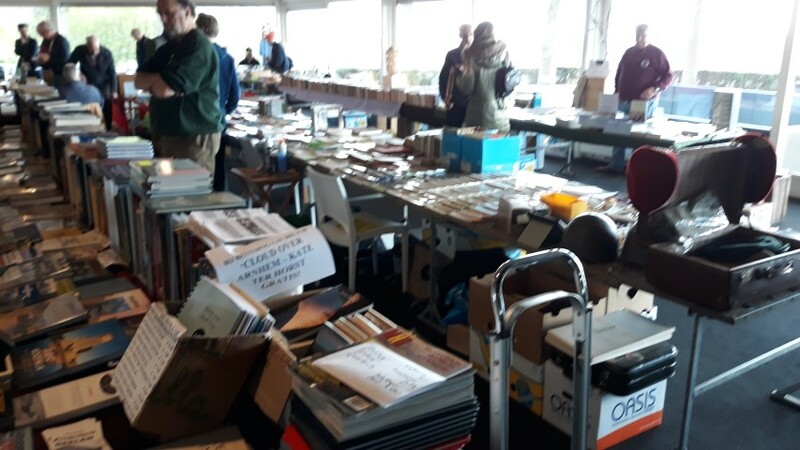 There were some nice books. 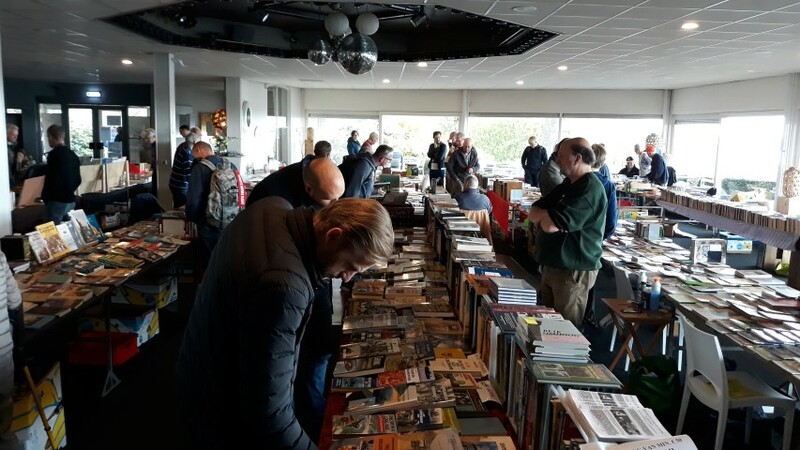 While browsing between the books we could enjoy a fantastic view from the Westerbouwing on the Rhine with in the distance the John Frost Bridge at Arnhem and on the other side the church tower and the striking locks at Driel. 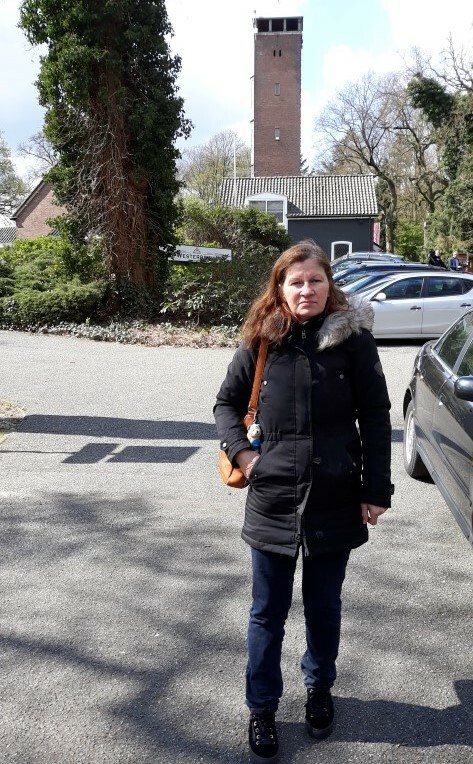 Left: my wife Elly with the restaurant at the Westerbouwing, where the book fair was held, in the background. Fantastic view from the Westerbouwing on the Rhine with in the distance the John Frost Bridge at Arnhem and across the street the church tower and the striking locks at Driel. 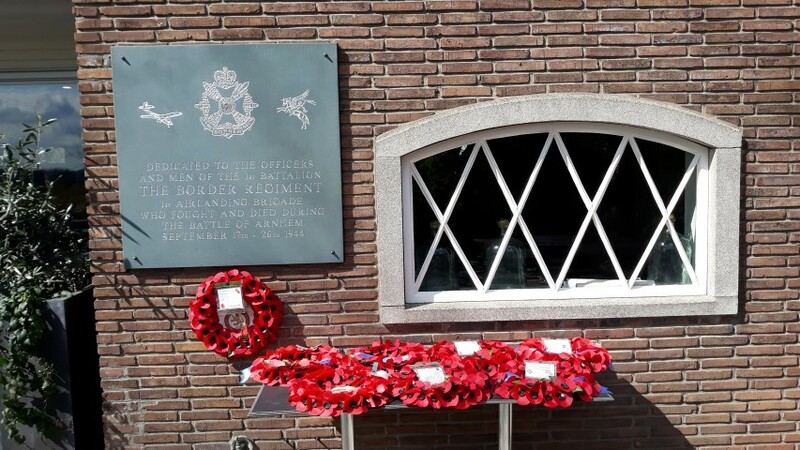 Commemorative plaque for the 1st Battalion The Border Regiment, 1st Airlanding Brigade. Of course with the well known Remembrance Poppies. 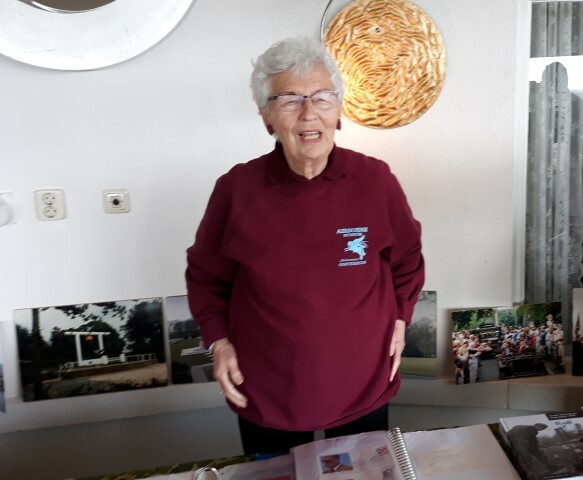 At this unique location the author of the book“No Return Flight” and “Het dertiende peloton”, Haks Walburgh Schmidt , was willing to give a tour on the Westerbouwing.. Here he reported extensively on how his book came into being. 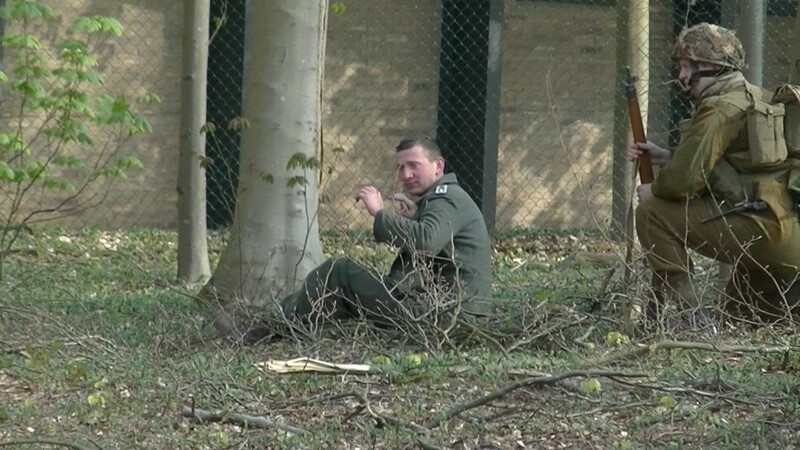 He thought he could answer the question of a Glider Pilot veteran, "Can you tell me who I actually brought to Arnhem? However, the answer took years and led to contact with many veterans and eventually this book. 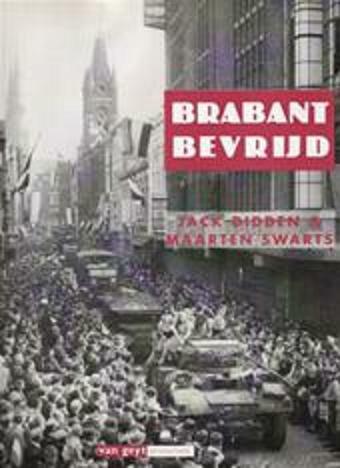 Soon a new edition of it is to be expected. 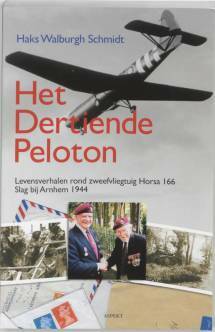 Het Dertiende Peloton, Life stories about the Horsa 166 glider tell of the search for the occupants of the Horsa 166 glider, which lands near Arnhem on 18 September 1944. 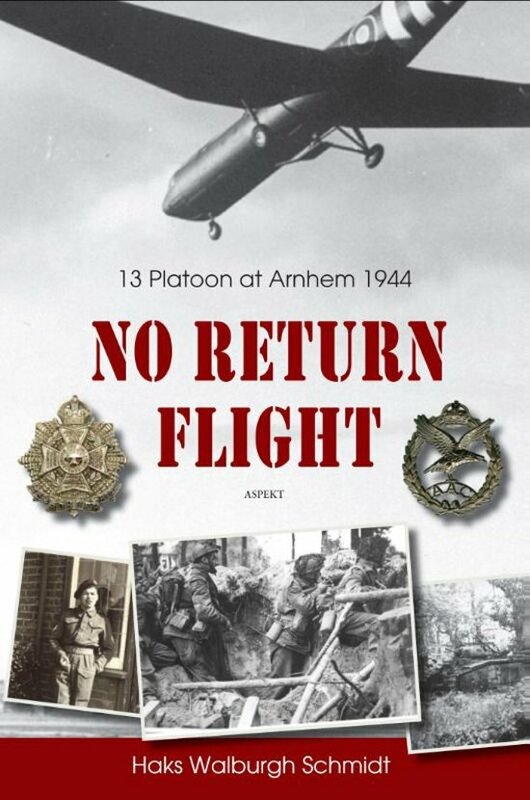 The Battle of Arnhem was still in its first phase when the British pilots and about 25 airborne men said goodbye to each other and carried out their orders. 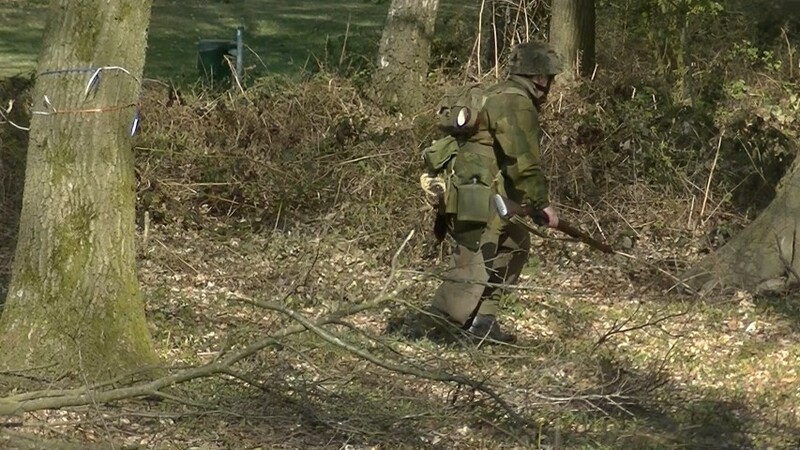 A four-year quest, which eventually leads to a new and moving image of the Battle of Arnhem. 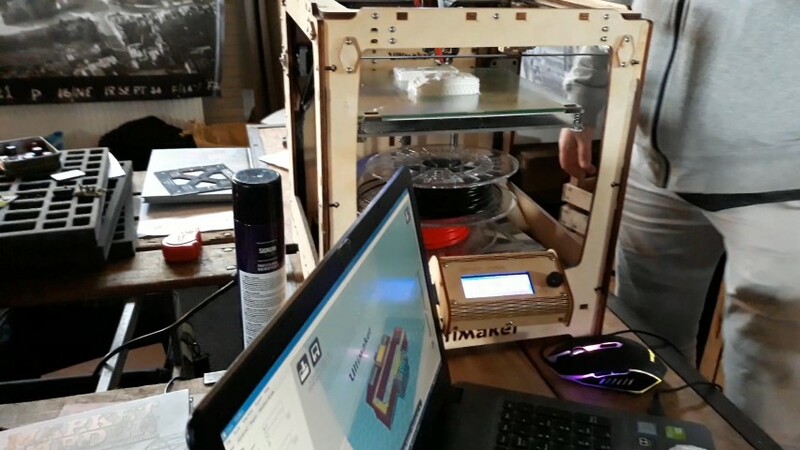 In the fascinating stories from before, during and after the battle, the human aspect and the personal experience of the airborns stand central. Gedropte mand met parachute. 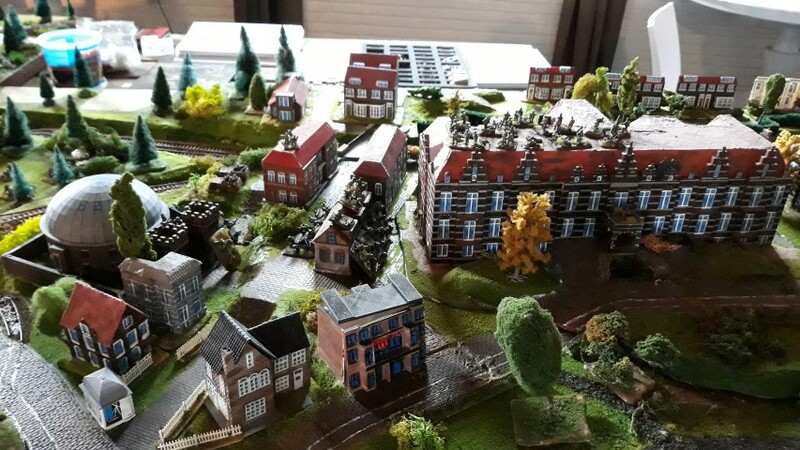 Op de achtergrond hoofdkwartier B Coy en het witte huis waar verbleef. Drop basket with parachute. 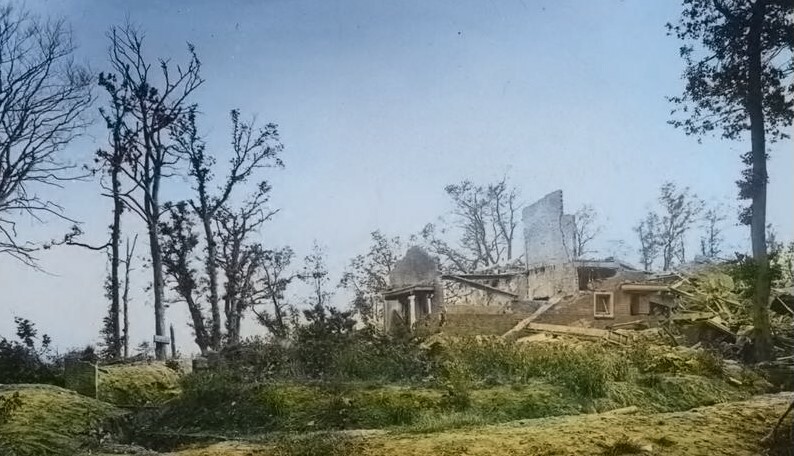 In the background headquarters B Coy and the white house where Douw van der Krap stayed. The Battlefield Tour on the Westerbouwing became even more interesting because of the presence of War Department-Living History. 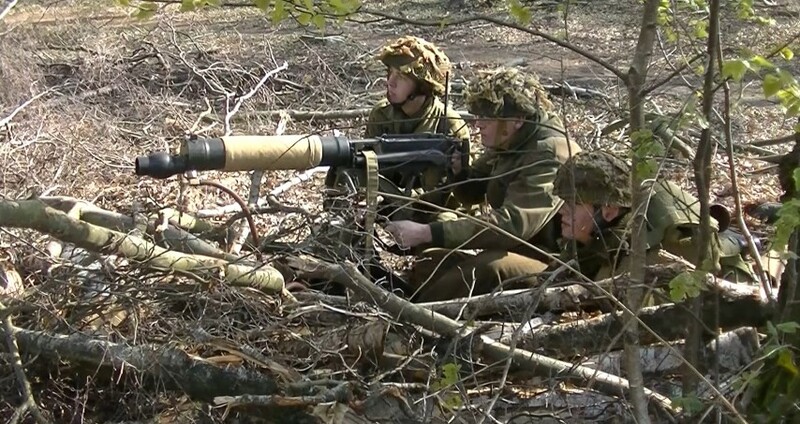 A group representing the 12th platoon of B Coy The Border Regiment. 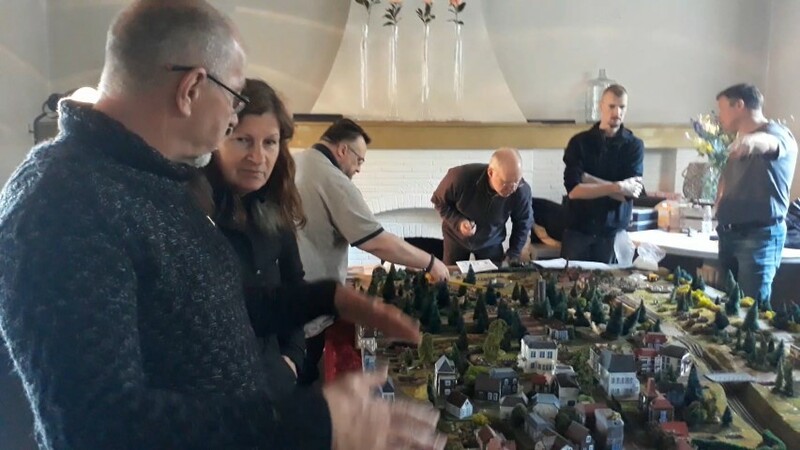 Under the leadership of Floris Baars these soldiers made the Westerbouwing a stage for the battle that took place there in September 1944. 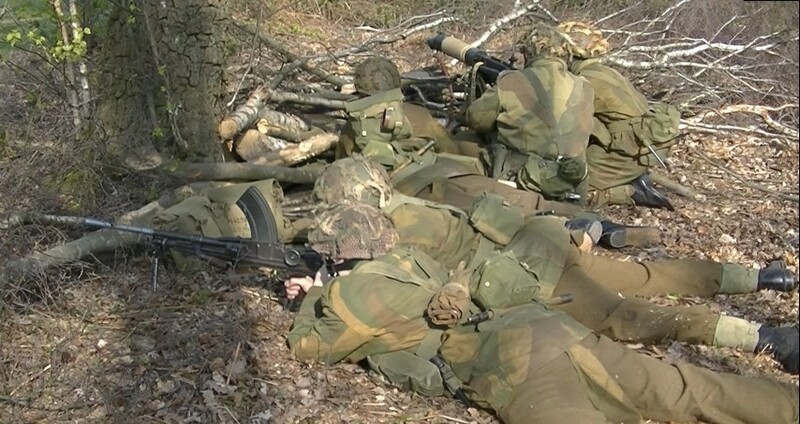 At the location where the 14th platoon was in the defense, the formation was involved with a section that also had a Vickers-machine gun- and a Brengun. 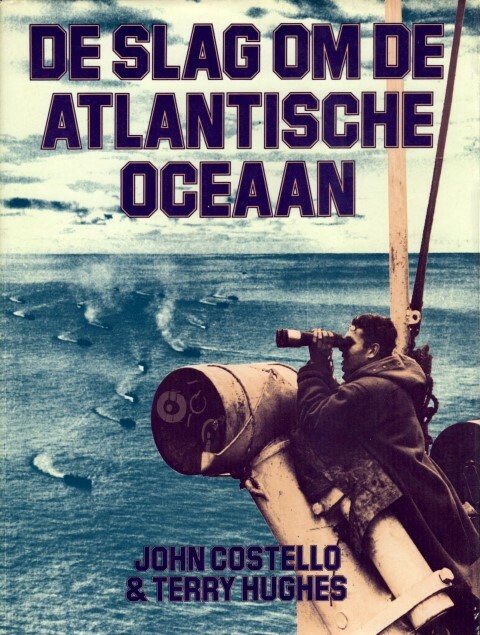 Op de boekenbeurs de boeken 'Brabant bevrijd' en 'De Slag om de Atlantische Oceaan' aangeschaft. 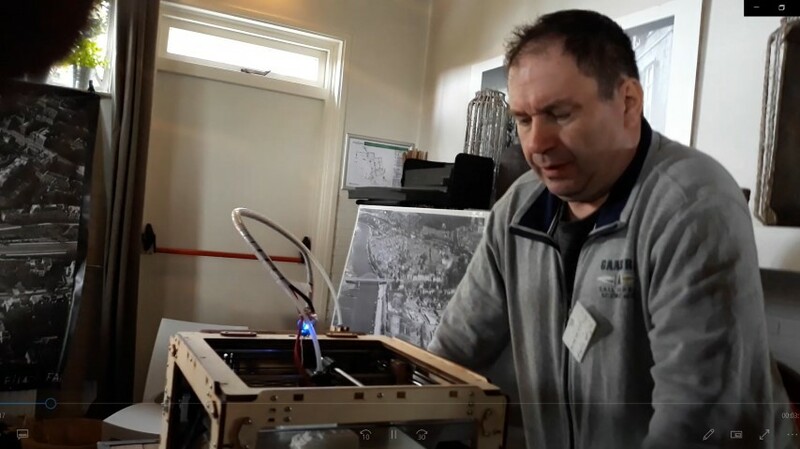 Fascinating to see Ludwig van Dijk, Wargamer & 3D-Maquettebouw had put his 3D printer hard at work to print buildings in Arnhem. 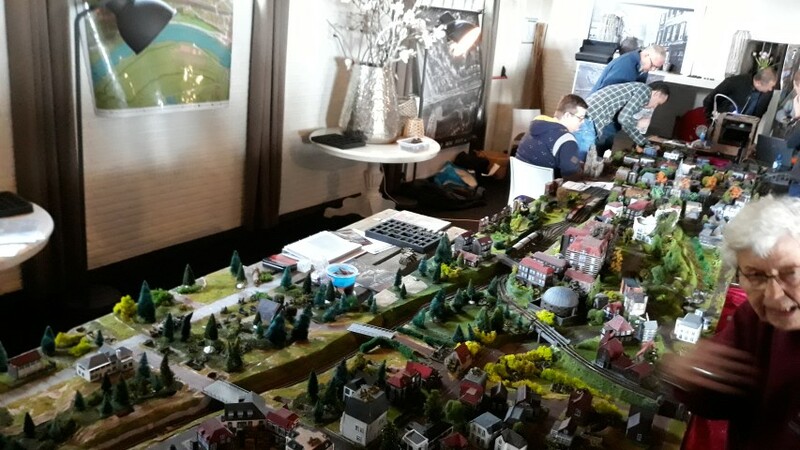 Wargame on the famous Ludwig table, a table of 8 by 1.5 meters, with houses and objects made by a 3 D printer.